Home Sport 2 Young Squash Stars Make Egypt Proud! 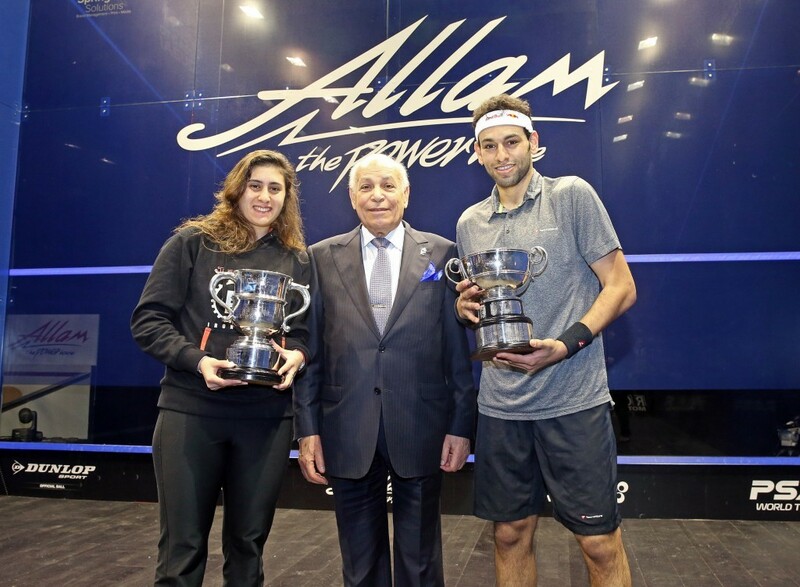 The Egyptian champs Nour El Sherbini and Mohammed El Shorbagy were crowned champions of the British open squash tournament! This year, Egypt’s squash players proved themselves, with four young Egyptians, Nouran Gohar, Nour El Sherbini, Ramy Ashour and Mohammed El Shorbagy, making it to the semi-finals! Although the match was very well played, the awesome duo, Nour and Mohammed were able to win the tournament! Happily, this is the first time for Egypt to win both titles! We will always cheer in pride while the Pharaohs continue their victories in squash. There will be a lot to watch in April 2016 as the new squash tournament takes place in Gouna.